Corby Lighting LED Candle Frosted Lamp 6W E14/SES 470lm (3 Pack) is rated 4.2 out of 5 by 6. Rated 1 out of 5 by YorksDIYer from Good light but burns out quickly. Worked well to start with, with a good bright light and a nice colour. However, I bought 5 packs of these over a few orders, roughly a year ago, and since then at least 4 have stopped working for no apparent reason (well within stated lifespan), so it wasn't just one dodgy pack. Wouldn't recommend at all. Rated 5 out of 5 by Crispie from Impressed Used in a fitting where lamps are very visible - they look good and work well. Rated 4 out of 5 by Shezzer from Great service, brilliant bulbs Bought this for use in a cooker hood. It is brighter than the old incandescent bulb, but I would have preferred a brighter version. 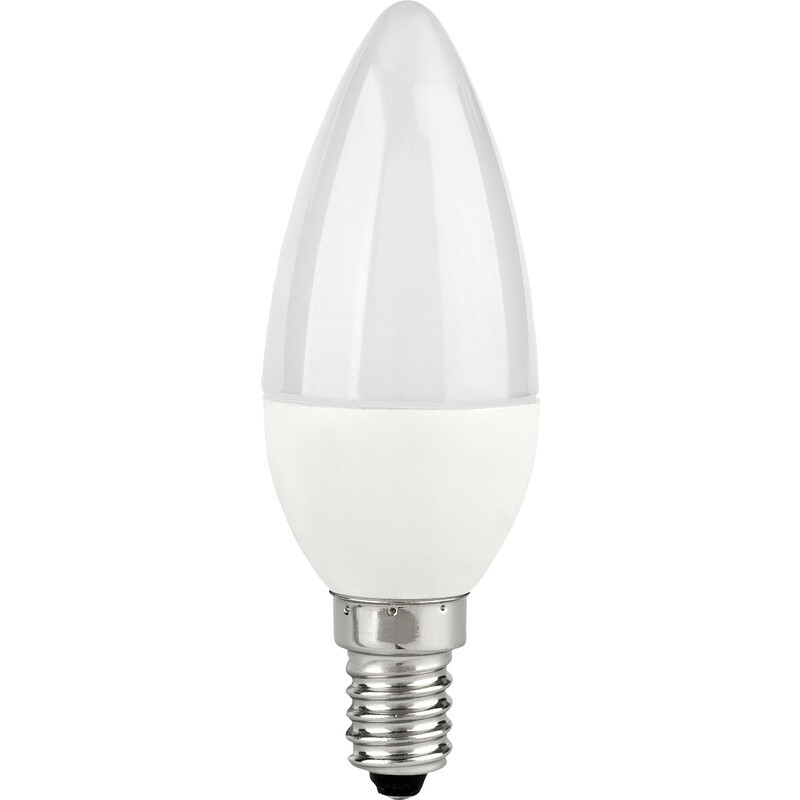 I'm sure one could be made, but this was the brightest current 'value' bulb I could find. Well recommended though as this mild criticism is being a bit picky. Rated 5 out of 5 by Graham T from Best yet Have tried a few led bulbs but been disappointed. These however have done the job Well! Rated 5 out of 5 by Gold25en from good service I purchased these lamps on Sunday and received them on Monday. A great service and good quality product.